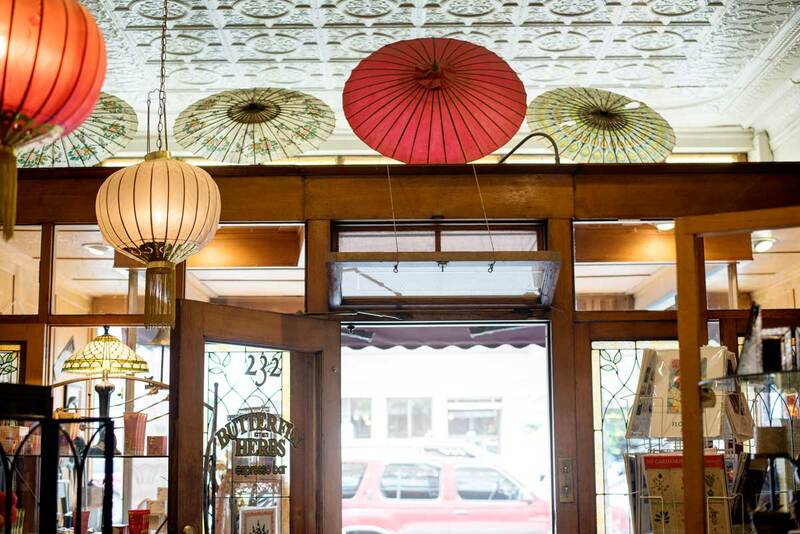 A travel guide for beautiful Missoula, Montana. 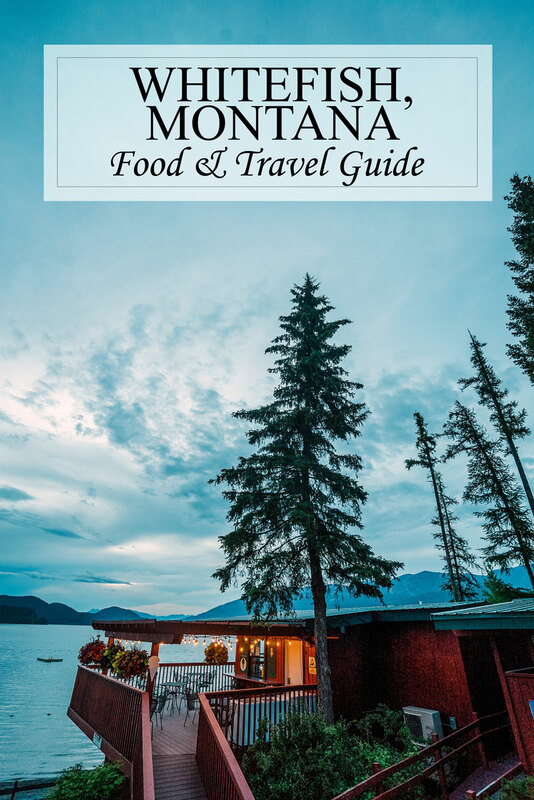 Our favorite restaurants, places to stay and things to do in Glacier Country Western Montana. Last month, Pat and I had the chance to spend five days exploring Glacier Country and the Bitterroot Valley in Western Montana. The first stop on our adventure was Missoula, Montana. Missoula is a charming town that is a starting point for many of the outdoors activities that make Montana so famous. It’s also a lively college town. 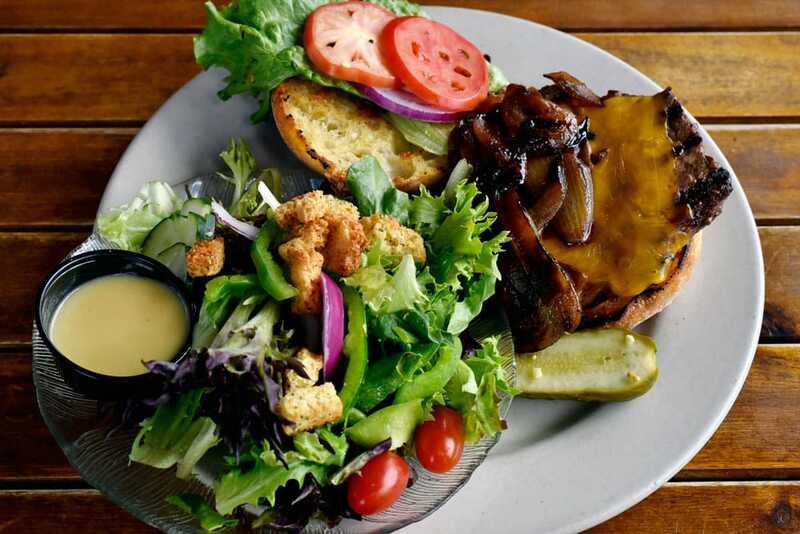 What I didn’t realize though, was how great the food scene is in Missoula! 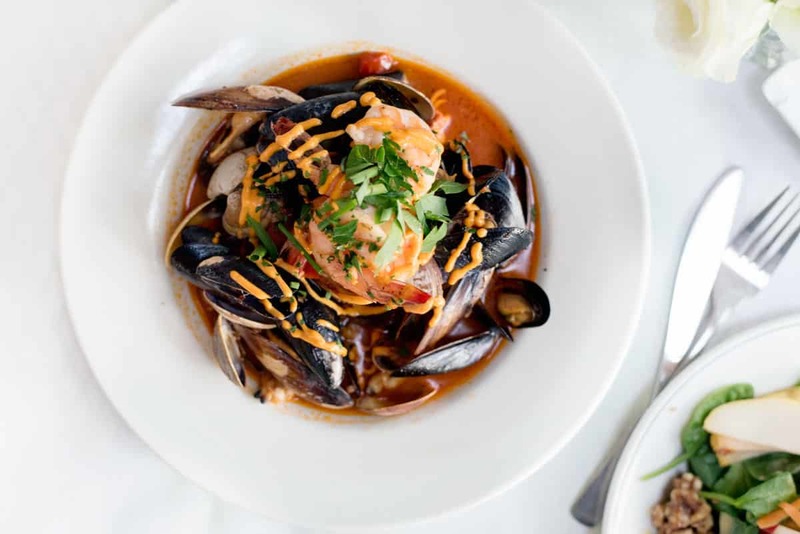 There are tons of restaurants and places to eat, many that rival my favorite San Francisco restaurants. Add to that bed and breakfasts, cute boutiques and great breweries and you might never leave! 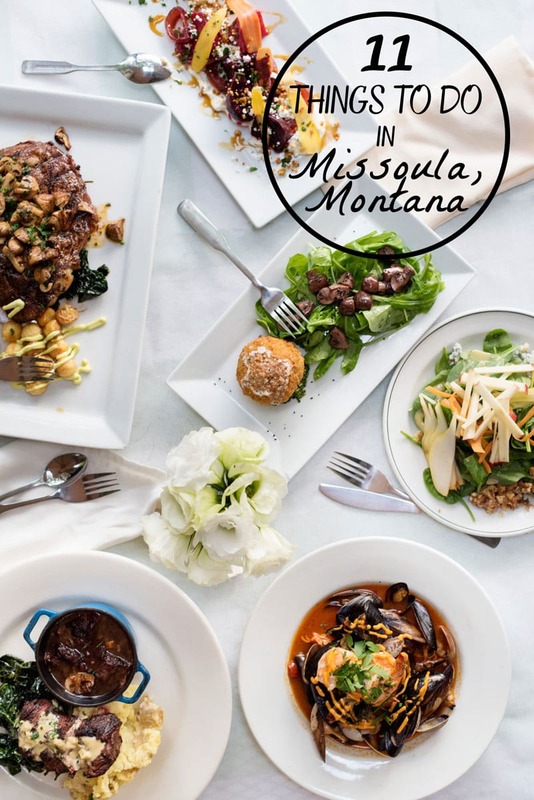 Here are some of my Missoula favorites to check out when you’re in town. 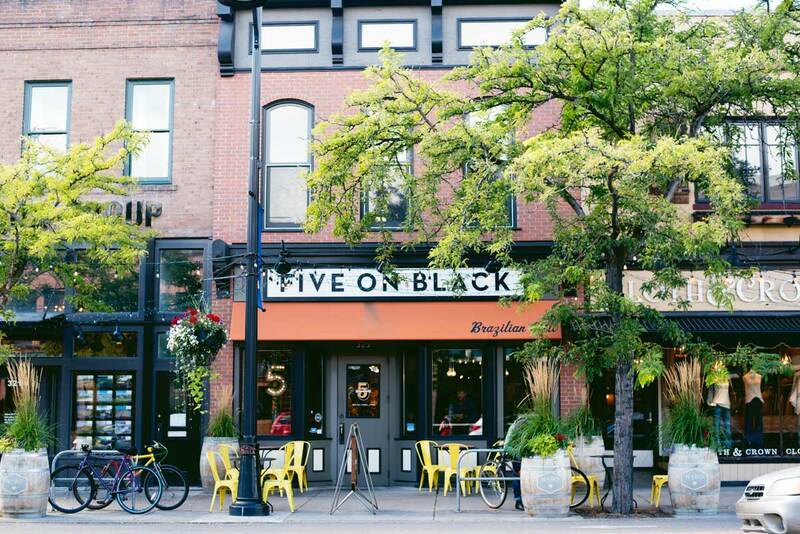 If you’re looking for an amazing cheap meal ($5-9) in Missoula, Five on Black is the place. 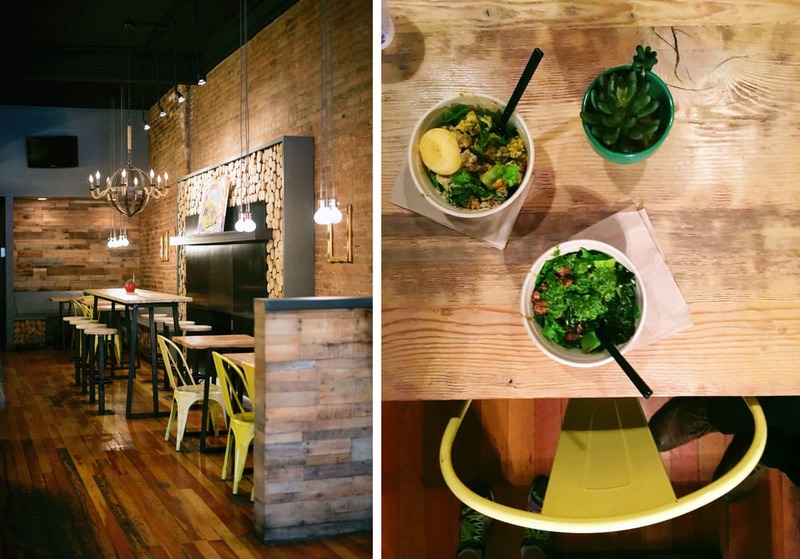 It’s order-at-the-counter Brazilian food is insanely delicious, healthy and satisfying. You have to try the feijoada, which is the national stew of Brazil. Montana Antique Mall has four floors of beautifully-curated antiques, aka heaven for this girl who is always searching for her next unique food photography prop. You can tell they are strict about the goods they allow sold and how they are displayed. 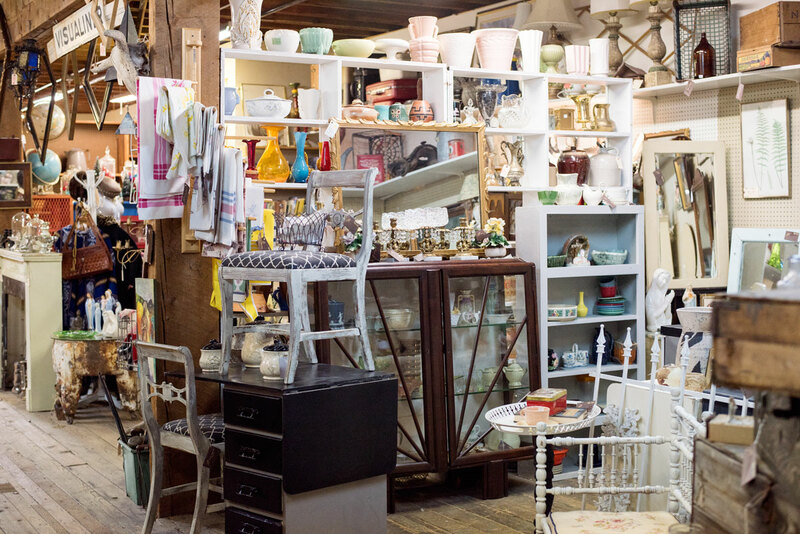 There’s truly something for everyone, from furniture to clothing. The prices aren’t too bad overall, but the occasional hidden gem made the hours spent browsing a true treasure hunt. Dinner at Scotty’s Table may have been our favorite meal during our Montana trip. 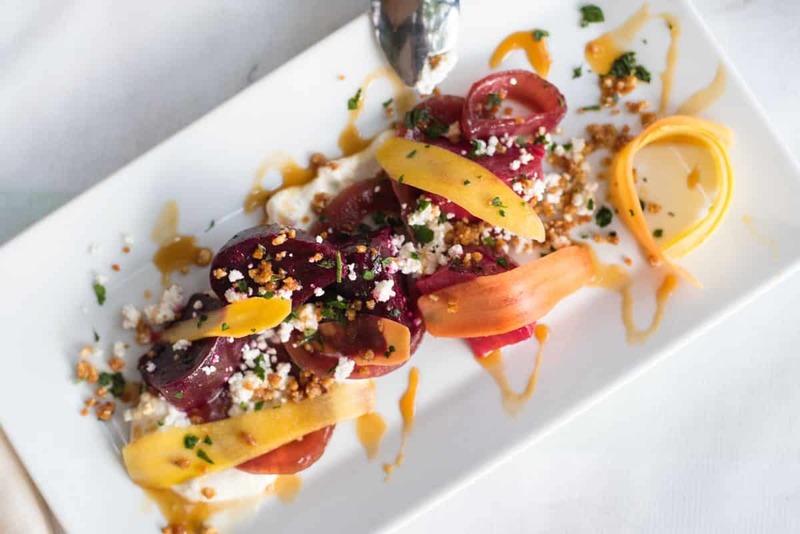 Each dish was beautifully-curated, from appetizers to dessert. Even though the true stars of the menu are their meat dishes, their vegetarian dishes also amazing. It’s so rare to find a place that does meat so well, but doesn’t just treat vegetables as an afterthough. 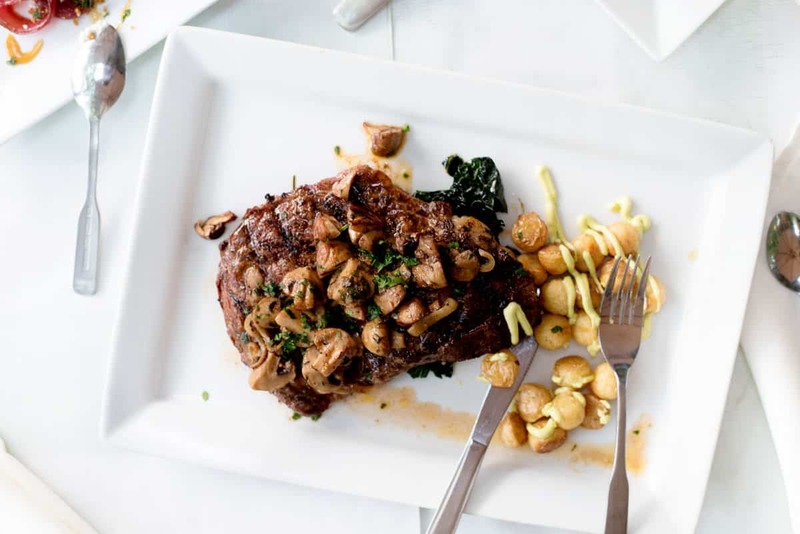 You must try the grass fed beef, cioppino (shellfish stew), roasted beets with lemon crème fraiche, and the arancini with marinated mushrooms. One of the biggest controversies in Missoula is the Sweet Peaks Ice Cream versus Big Dipper Ice Cream debate. Sweet Peaks is newer to the Missoula scene and I think it’s slowly winning people over. 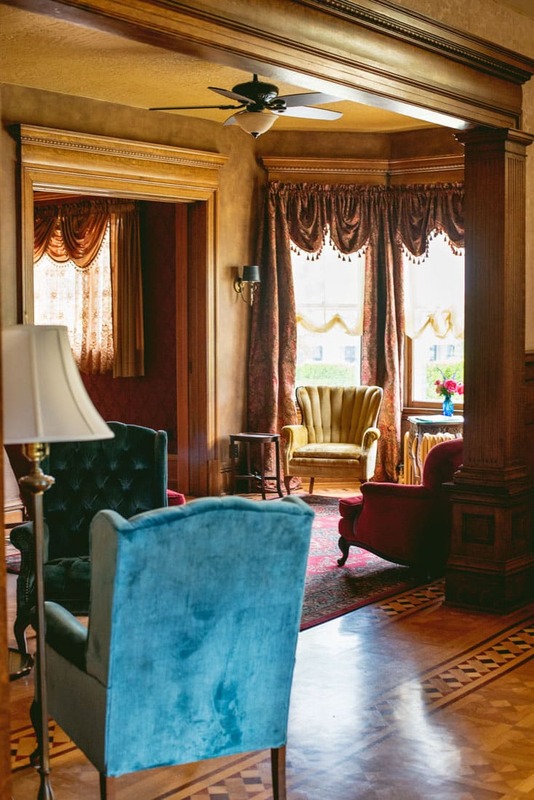 We were steered there by our hosts at Gibson mansion and it definitely didn’t disappoint. 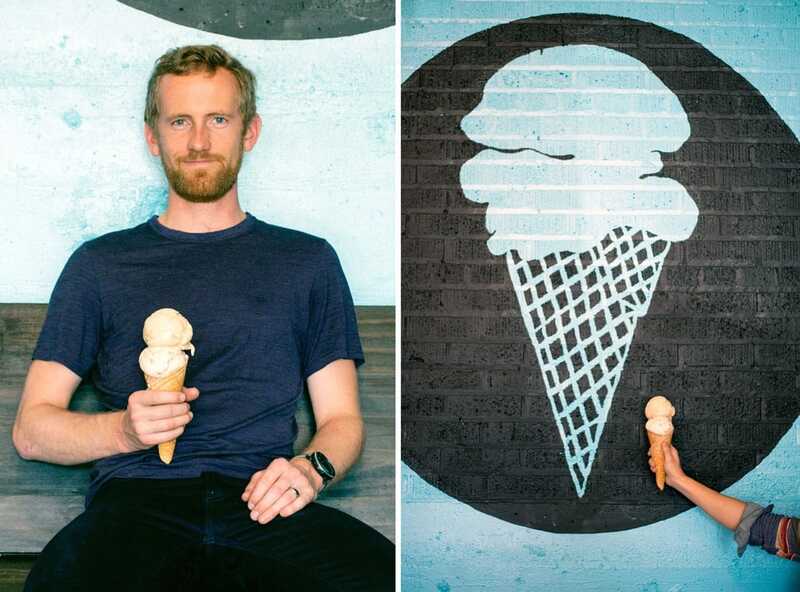 They have fewer flavors than Big Dipper, but their fresh ingredients and interesting flavors make their ice cream outstanding. At first glance, Butterfly Herbs is a fairly standard hippie-ish boutique with a few gifts and nice-smelling bath goods. 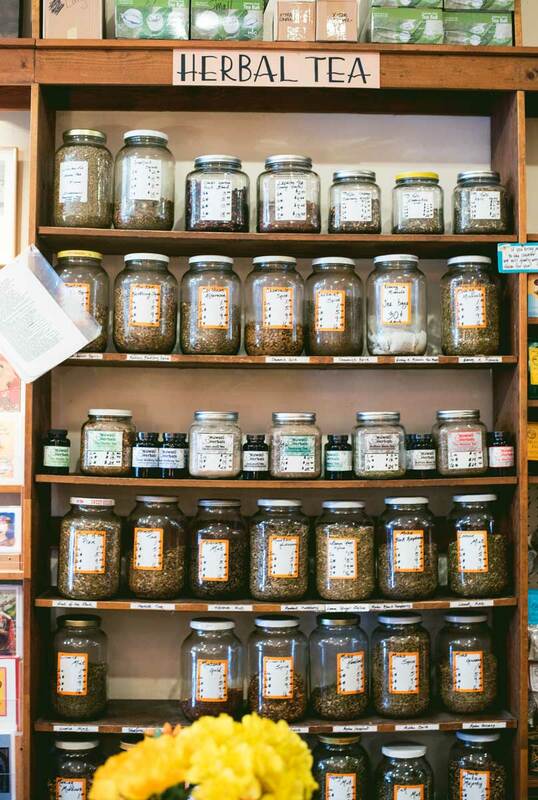 Once you step inside though, the real draw of Butterfly Herbs is the jars and jars of amazing loose leaf teas at exceptional prices. After visiting, I started to recognize their teas everywhere, from Bed & Breakfasts to restaurants. Their Evening in Missoula tea is this amazing spearmint blend that I just can’t get enough of. I ended up bring almost three pounds of tea home and I’ll probably be ordering more Evening in Missoula soon. 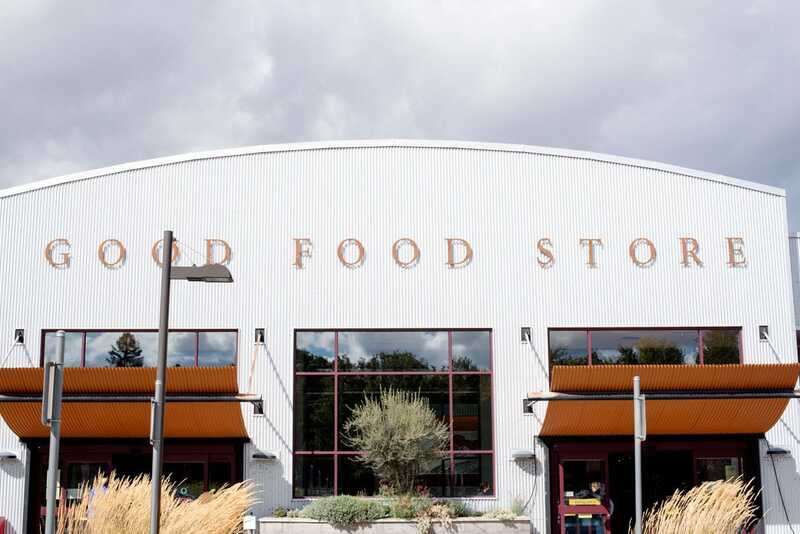 The Good Store is an amazing natural and organic grocery store. It’s sort of like Whole Foods, but with a small town feel. The reason it made my Missoula travel list is their amazing hot and cold salad bar that is perfect for a healthy lunch. Several people recommended we check it out, and it didn’t disappoint. Make sure you try their ginger miso dressing and the pumpkin chocolate chip cookies! They have a lot of great vegetarian and vegan options too. Western Montana is full of micro breweries, but not all of them have a full menu of great food like Tamarack Brewery. 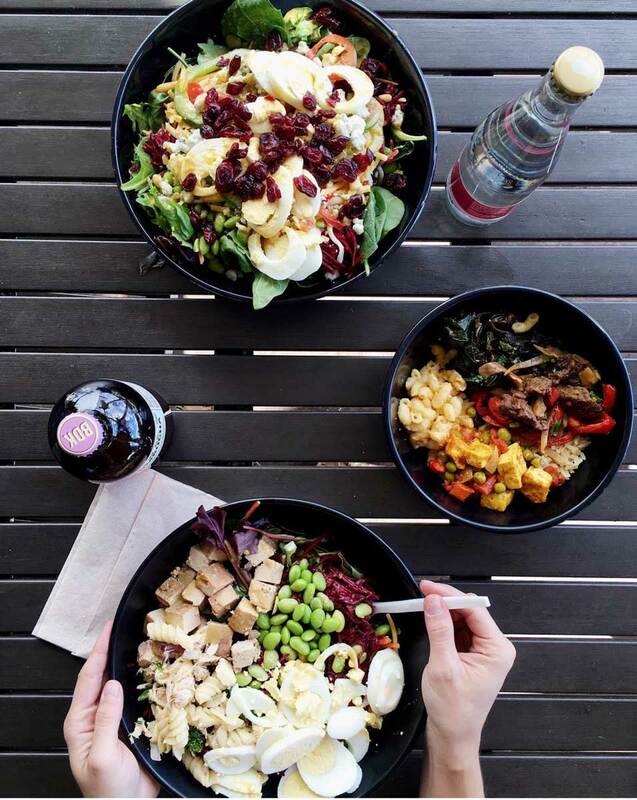 Think everything from pizza to a mediterranean platter! The brewery itself is located in Lakeside, Montana, but they have a full brewpub and restaurant in downtown Missoula. They also have a patio with a great view of the city. Try the Yardsale Amber and Switchback Stout beers. 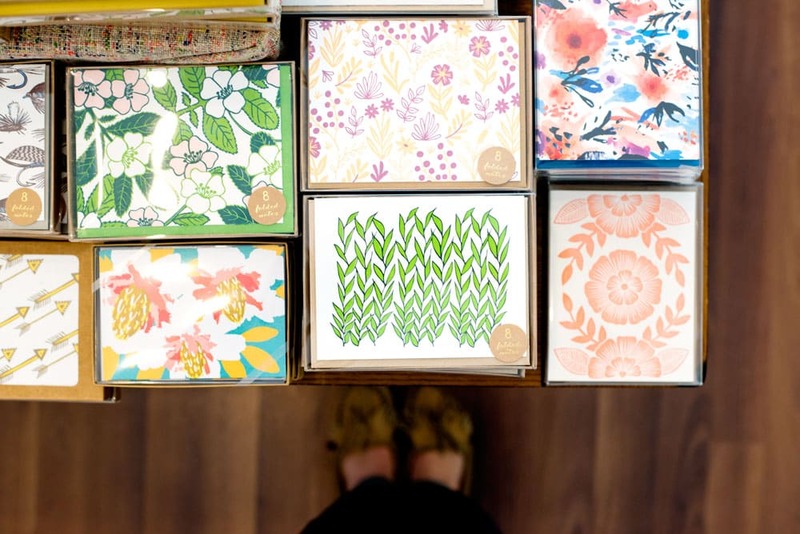 Noteworthy Paper & Press is an adorable boutique chock full of paper products and gifts. 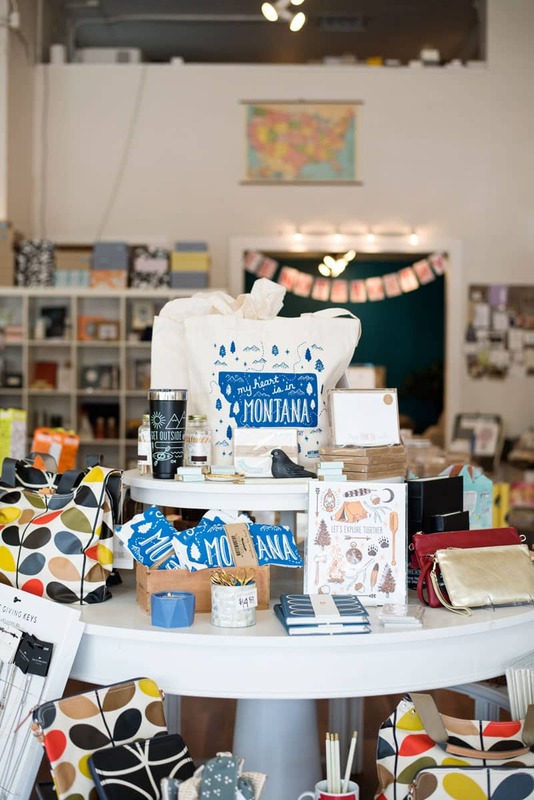 It’s the perfect place to pick up a Montana souvenir or a thoughtful gift. They also do their own letterpress line and teach classes as well. Who knew land-locked Missoula, Montana has a hot surf spot? On hot days in Missoula, the locals queue up to surf and kayak Brennan’s wave, right in the middle of downtown. 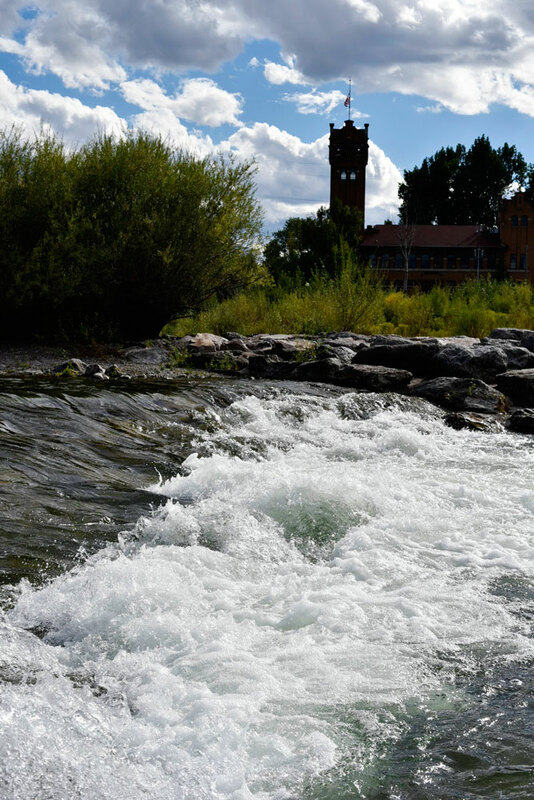 The manmade wave is the result of a community project to transform a dangerous water diversion weir into a safe place for people to practice their favorite water sports. Check out this video to see what the wave is like when the water level is higher. 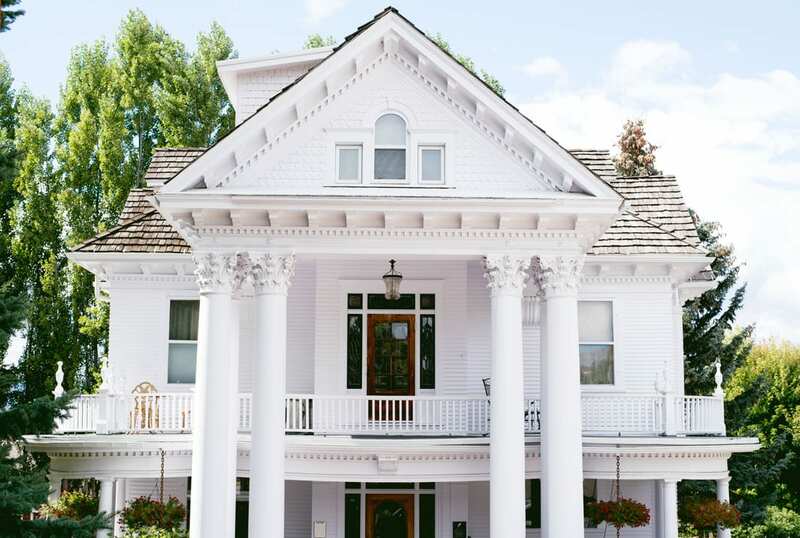 If you’re looking for a truly beautiful, relaxing place to stay in Missoula, Gibson Mansion should be at the top of your list! This thoughtfully-restored bed & breakfast features gorgeous decor, beautiful gardens, and warm hospitality. And the food! Breakfast is truly an art form, so much so that I’ll be sharing their famous scone recipe in a separate post soon! 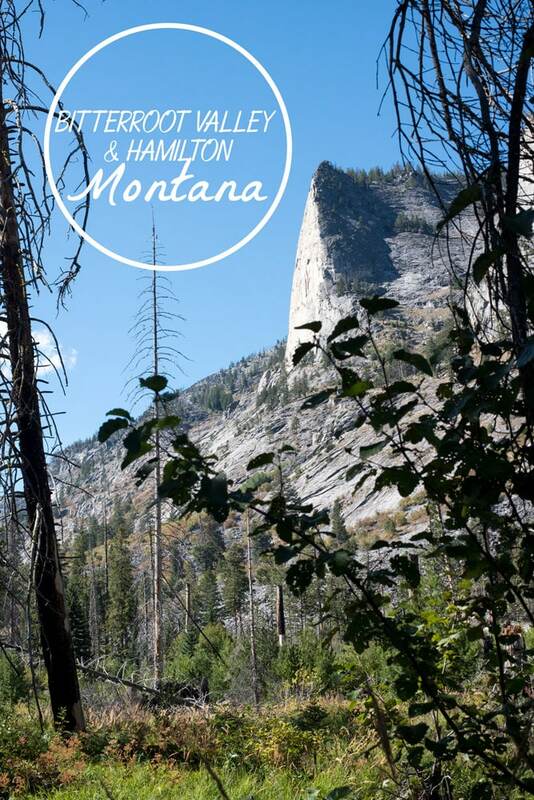 Before we left for our trip, I asked for Montana recommendations on social media. 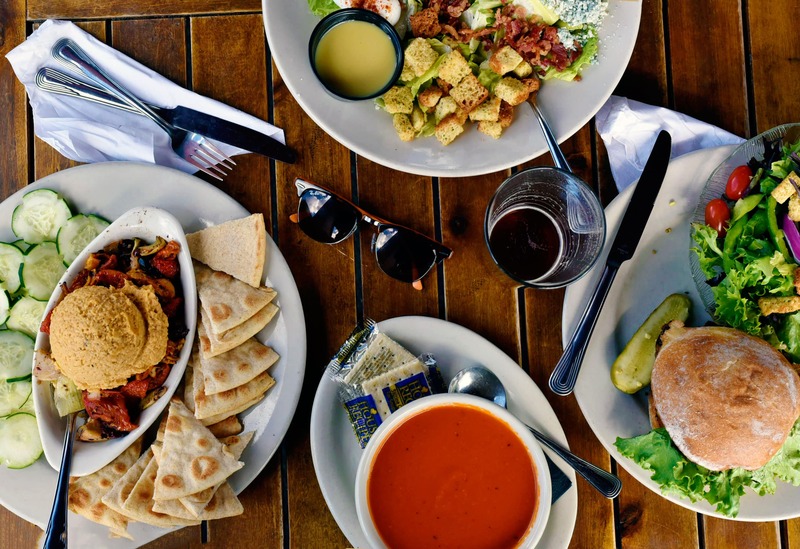 Plonk Wine Bar came up over and over again as a favorite of locals and visitors alike! 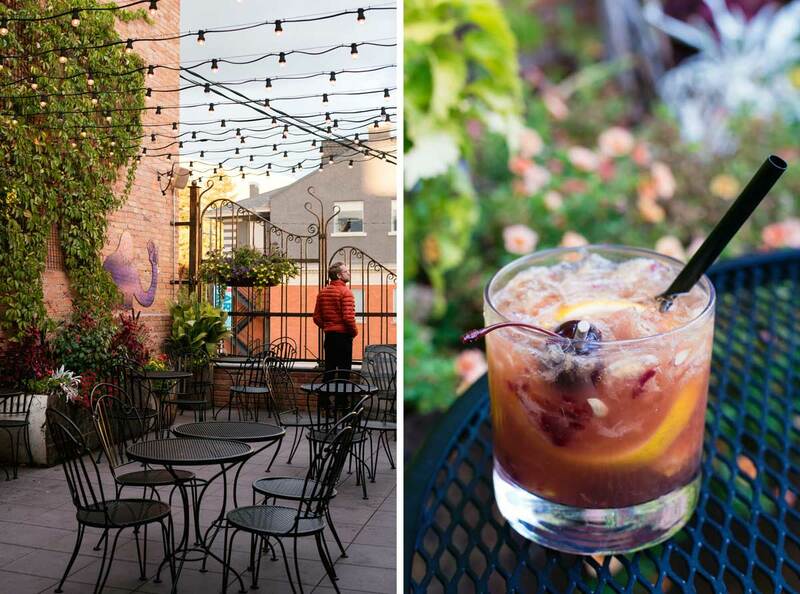 We stopped in for a drink on a warm late summer night and were able to snag a table on Plonk’s beautiful rooftop patio. They have a great wine list as well as some fun specialty cocktails. 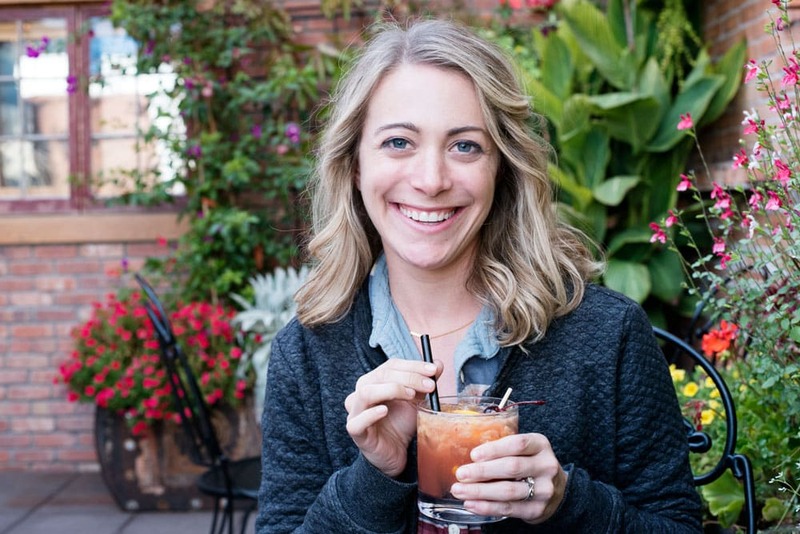 Stay tuned, as I’ll be sharing my favorite Plonk cocktail on the blog very soon! And that’s that! Did I miss anything? Do you have and recommendations I should add to the list? P.S. 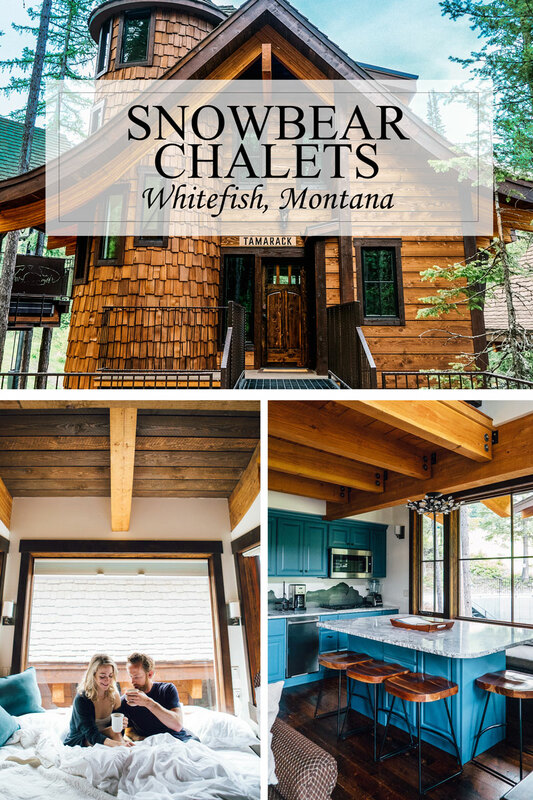 – Traveling to Montana? 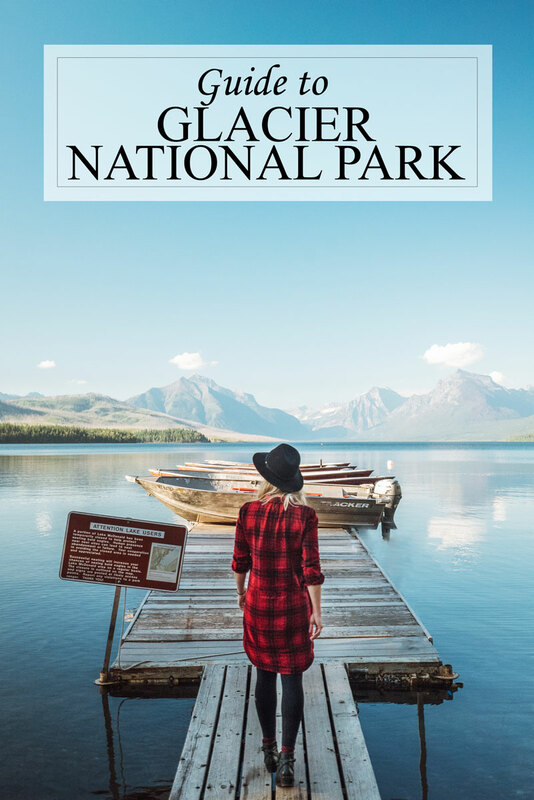 Check out these guides for more travel inspiration! I haven’t been to Missoula since I was a little girl. I think it’s time to head back! It definitely is! Such a fun little city. 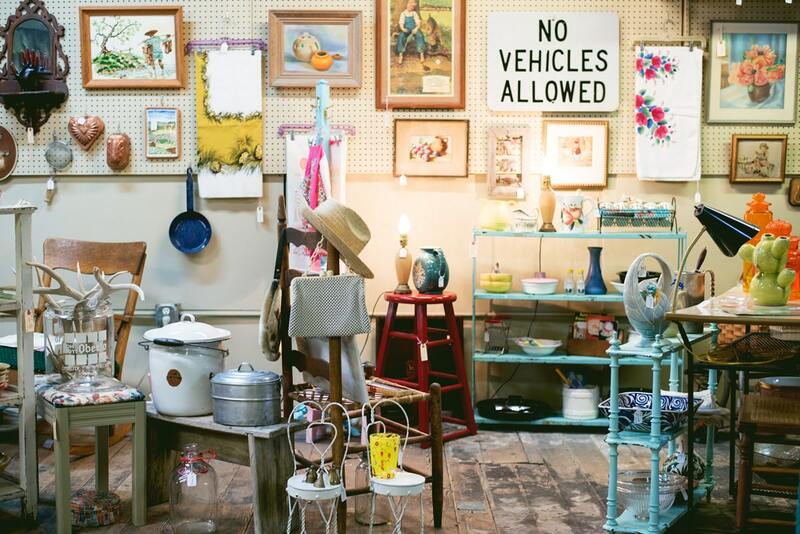 I would go crazy in that antique mall! Sounds like an amazing trip! Right!? Four flours of heaven! Looks and sounds like one amaaazing adventure!! LOVE! It was! It was the perfect long weekend. My husband and I were just looking for a place to take a road trip – this might be it! What a fun trip with great places to visit! That ice cream stop has my name all over it! That looked like a fun place to visit! I like the herbal tea shop! It’s such a gem and their teas are such a great deal!